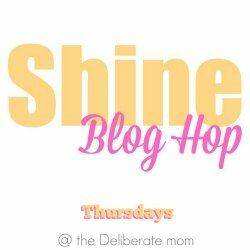 I’m so excited to be co-hosting the eighth edition of the SHINE Blog Hop this week with my new found blogger friend Jennifer from The Deliberate Mom. Besides my appreciation of the fun packed, educational activities she’s posted for little ones, Jennifer is an encourager, generous and open about her journey as a blogger, and willing to come along side others and lift them up! There were 81 beautiful, inspiring and creative posts linked up last week. So come join the party! And while your at it, what about discovering some new transatlantic blogs and readers! If you have a moment please pay Jennifer a visit and/or follow her on one of her social media sites. Congratulations to all of you! Featured posts will be shared on all of The Deliberate Mom’s social media outlets! If you would like to help spread the word about the SHINE Blog Hop, we would be so grateful! 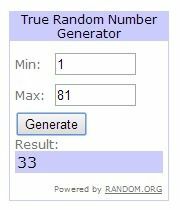 So are you ready to get this party started? We invite you to grab the beverage of your choice, take a comfortable seat, and let your best posts SHINE! It’s time to bask in the glow of this amazing community of bloggers! I followed the ’sign’ so here I am 🙂 Looking forward to checking out some of the other blogs.